Camp Couchiching has taken up residence at the former Regent Park United Church and will be supporting youth and community programs, including the garden! Contact rossmcintyre@campcouchiching.com or Andy Robbins andy.b.robbins@gmail.com to participate! This garden is very unique, featuring permaculture swales, perennial plantings, a geodome greenhouse to extend the growing season. Permaculture Swales – In May 2014, OCG and the community undertook an ambitious project to convert an unassuming hillside into an abundant foodspace, and more. 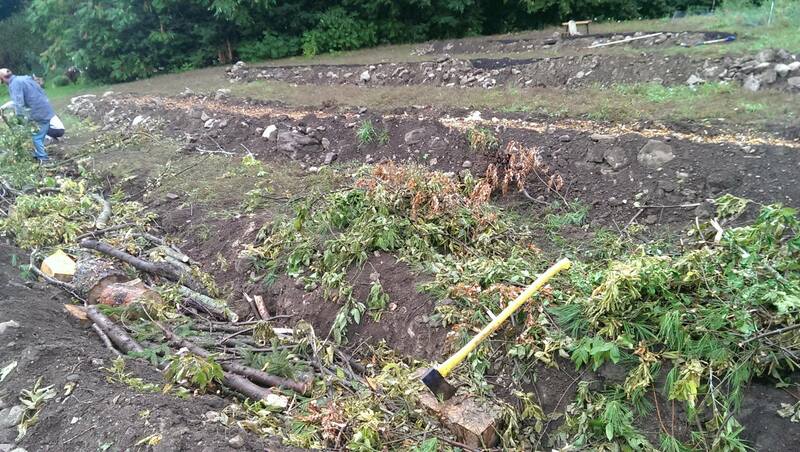 We dug 5 swales, and started burying logs, brush, wood chips, grass clippings, leaves and other local, clean organics to create a kind of lasagna/terrace garden. 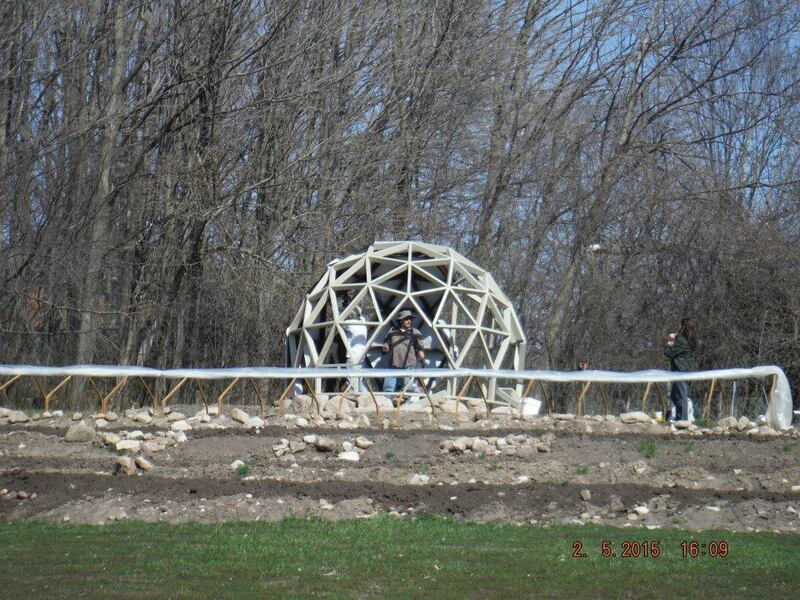 This method is also known as “hugelkultur”, which translates to hill culture or hill mound. There are many benefits to this type of garden – the slow decay of the wood and other materials provides nutrients to the plants for many years, while also warming the soil to extend the growing season. It also causes improved aeration and better water retention in the soil. 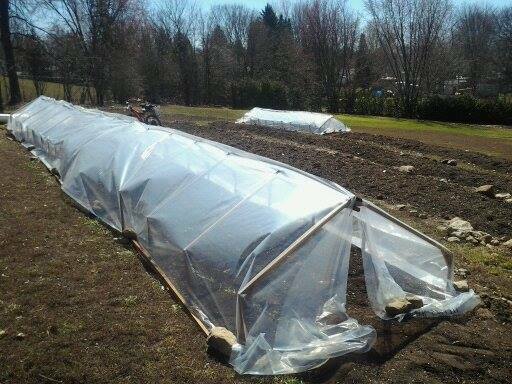 Geodome – Built in April 2015, the geodome is a type of greenhouse that allows for a longer growing season and great light absorption, meaning higher yields of food. The geometric building pattern makes it more structurally sound than a rectangular-shaped greenhouse, and all that snow we get can slide right off the top!